The UPSPro™ UBNT outdoor UPS system is designed specifically for 24VDC POE equipment like that from Ubiquiti, Mikrotik, Tranzeo, etc. 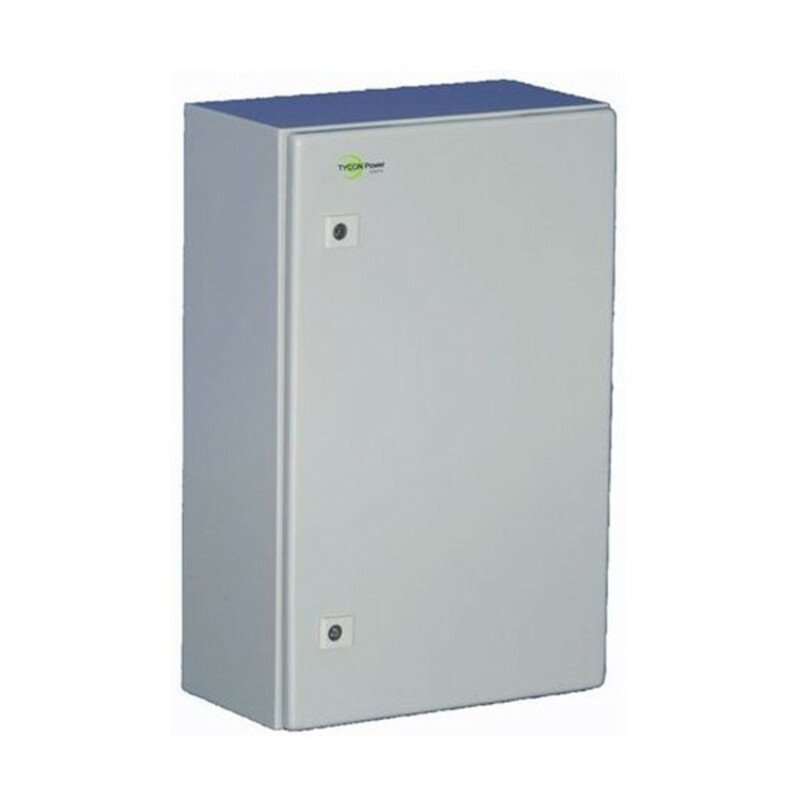 The system provides up to 60W of continuous total DC power on 4 switched power over Ethernet (POE) ports. There is also a data uplink port if an external data connection is desired. The system is powered over Ethernet cable from an included 150W AC to DC power supply with POE inserter. 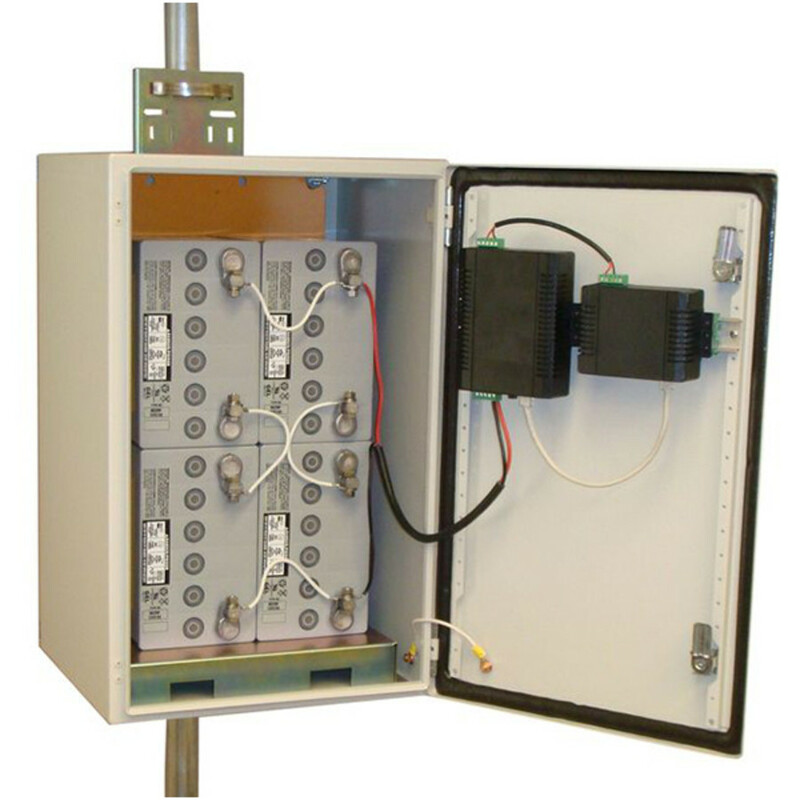 The system is also Solar Ready™ so an optional solar panel kit (TPSK24) can be added anytime to make a complete standalone remote power system or utilize the solar capacity to extend the backup time. The proprietary charge controller maintains the proper charge on the batteries to prevent over charge and controls the load to prevent over-discharge. There are 3 system configurations available: 51Ah Battery capacity for 20hours backup time, 102Ah battery capacity for 40 hours backup time and also a system without batteries for those customers who want to use their own sealed lead acid type batteries. Battery life on the high performance GEL cells is rated at 5 years. Typical recharge time from a full discharge is 20 hrs for the 51Ah battery and 40 hrs for the 102Ah battery. Recharge times will be faster with optional solar panel kits and depending on size of panel used.